It's a lovely bright afternoon here so I thought I'd have a go at the Less is More Challenge week 158 - this time it's a One Layer card and Anything Goes. I had a quick look through my stamps and decided to use this Nottinghill set from 7Gypsies. I stamped the butterfly with Vermillion Archival, masked them off and overstamped with the script stamp in Potting Soil Archival. 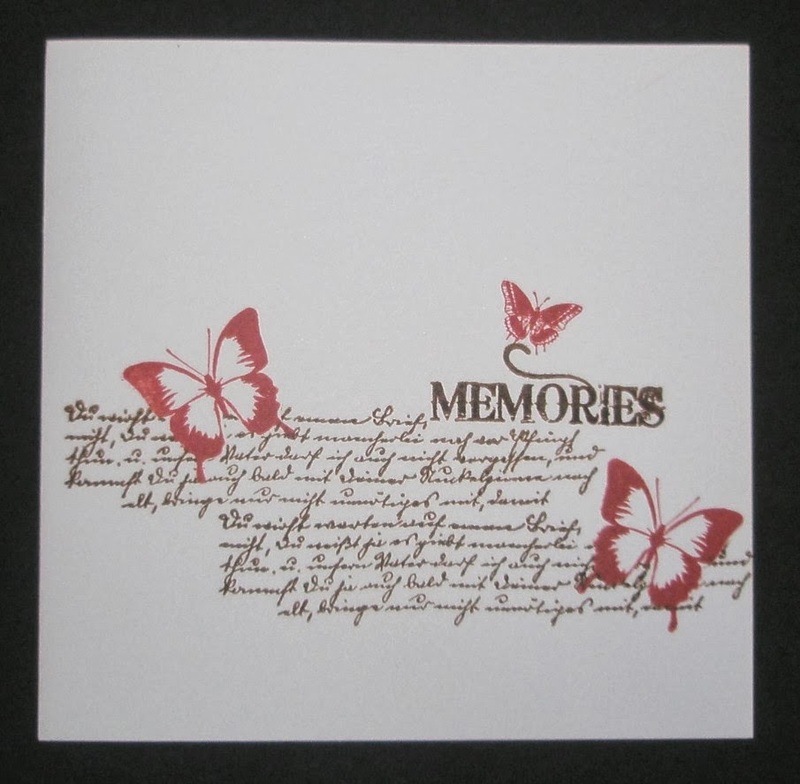 Memories is from the same set and to finish I've used a small butterfly from the Crafty Individuals Foliage set (CI-207). Great stamping Elaine, this looks terrific!